So Harley Davidson has unveiled its all electric motorcycle termed project Livewire. Harley Davidson have kept one eye on the rapidly changing motorcycle industry and to everyones amazent released an electric motoryclce. This must be an interesting challenge for the companies very successful customer-orientated marketing department. It will tick all the environmentally friendly requirements, however what does it sound like? As the video portrays, the classic V-Twin roar is gone and now is replaced by a Tron-like electric howl. Interesting, do you think it lacks soul and character? Or is it an advancement in today’s technological world? o Project LiveWire – the first electric Harley-Davidson – is bringing innovation to the street to gain feedback from customers on what they expect from an electric motorcycle that is authentic Harley-Davidson. Through our U.S. tour, we invite customers to ride the bike and tell us what they think. Even those who don’t yet ride can ride Project Livewire on Jumpstart – a simulated riding experience. Why introduce an electric motorcycle now? o We are taking the Project Livewire experience around the country this year, and will continue in the US, Canada and Europe in 2015, to get customer feedback on what they are looking for from HD regarding this type of vehicle. Project Livewire isn’t available for sale now. Is the world ready for an electric Harley-Davidson? o Absolutely. America at its best has always been about reinvention and multicultural diversity. Project LiveWire makes our next bold statement of American reinvention in action. Isn’t Harley-Davidson late entering the electric vehicle market? o Electric vehicles first appeared in the late 1800s, but the electric motorcycle market space is still rapidly evolving. We want to get customer feedback now to understand what they are looking for in this type of product and then look to apply the technology that matters most to them. How is the Project LiveWire motorcycle different than other electric motorcycles on the market? o Harley-Davidson’s Project LiveWire is more like the first electric guitar – not an electric car – an expression of individuality and iconic style that just happens to be electric. The bold styling of its longitudinally mounted electric motor delivers a unique and distinct Harley-Davidson look, sound and feel, and the riding experience provides responsive acceleration and braking, nimble handling, and dimensions that are right at home on city streets. What about BMW? Aren’t they ahead of you? They are already selling electrics.We are taking the Project Livewire experience around the country to gain customer feedback and offer a “no excuses” riding experience for our customers. We recognize that this technology is rapidly evolving and we want to make sure we apply it in the right way. It has to deliver on our customers’ expectations and be authentic to the H-D riding experience. Other brands have other ideas; we like ours. In the case of BMW, they have introduced electric scooters, not motorcycles. When will Project LiveWire motorcycles be available for purchase? o The Project LiveWire motorcycles are not for sale. We are taking the Project Livewire experience around the country this year, and will continue in the US, Canada and Europe in 2015 to gain feedback from customers on what they are looking for in this type of vehicle from Harley-Davidson. Any final decisions about whether to bring an electric motorcycle to market – and when – will be made at a later date. What is the target price for the Project LiveWire motorcycle? o The Project LiveWire motorcycles are not for sale. Any decisions regarding retail sales, including price, have not been made. Why are you showing this motorcycle now if you are not planning to sell it? o We are taking a leadership position in bringing Project Livewire to the street to gain deeper insight into rider expectations of what they are looking for from Harley-Davidson in this type of product. We want to offer a “no excuses” riding experience, and we know that EV technology is rapidly evolving. We are excited to apply this technology as we learn more about what customers tell us matters most to them. That’s something we do very well. o We will continue to evaluate and monitor this market opportunity. One of the objectives of Project LiveWire is to gain deeper insight into market expectations – through the eyes of riders – to better understand what matters most to them regarding this type of vehicle, including applying the technology that makes a difference to them. What are the obstacles to bringing this product to market? How confident are you in the technology? o Electric motorcycle technology is evolving rapidly. One of the objectives of Project LiveWire is to gain deeper insight into market expectations – through the eyes of riders – to better understand what will define success in the market as the technology evolves and what our customers expect from HD regarding this type of product. What do you mean when you say that current EV technology has not yet evolved? o There are less than a thousand electric motorcycles sold each year in the US across all brands. This is the best proof that the current technology has not yet evolved enough – votes from the free market. Issues that still need to be addressed are range, battery temperature management, cost, reliability and long-term performance. o If pressed for specific data: Based on 2012 data, we believe that electric motorcycles sales were approximately 300 bikes. In addition, 2012 data suggests approximately 4,000 electric motorocycles and scooters were sold. Does Project LiveWire signal that Harley-Davidson is moving away from its traditional core products and riders? o No. We believe there continues to be a strong future for our traditional products. An electric Harley is simply one of the ways we are exploring how we might further grow the diverse family of Harley riders. And just like all Harley-Davidson motorcycles, Project LiveWire is an expression of individuality and iconic style. This motorcycle just happens to be electric. How does Project LiveWire fit into the company’s current product lineup? o The Project LiveWire motorcycles are not currently for sale, but an electric motorcycle could fit into our future plans as an opportunity to provide an exciting new type of product to our customers. What does this mean for the future of air-cooled V-Twins? We believe there continues to be a strong future for our traditional products. An electric Harley is simply one of the ways we are exploring how we might further grow the diverse family of Harley riders. Project LiveWire is a great example of what our people can do. Our innovative people and our powerful product development process have already delivered great customer-led products like Project Rushmore and the Street 500 and 750 and we continue to pursue opportunities to deliver compelling new products that inspire and fulfill dreams of personal freedom the world over. We invite customers to help us define what the future will look like. Through our U.S. tour, we invite customers to ride Project LiveWire and give us feedback on the bike. Even those who don’t yet ride can ride Project Livewire on Jumpstart – a simulated riding experience. Will riders accept this as a “real” Harley-Davidson motorcycle? o An electric Harley is still a Harley. And just like all Harley-Davidson motorcycles, Project LiveWire is an expression of individuality and iconic style. This motorcycle just happens to be electric. o Project LiveWire was imagined, designed and developed by stylists and engineers working in the Willie G. Davidson Product Development Center – the same great people who deliver all of our current products, including the all-new Street and Project Rushmore motorcycles. Where did the name “LiveWire” come from? o It’s an expression of a lively personality – like all Harley riders – as well as a nod to this bike’s electric powertrain. Do you plan to compete in FIM eRoad Racing World Cup events or other races? o The Project LiveWire motorcycles were designed to meet the expectations of street riders, not racers. What are the next steps now that Project LiveWire has been revealed? o We are taking the Project Livewire Experience around the country this year, and will continue in the US, Canada and Europe in 2015, to gather rider feedback. Who is the target customer for Project LiveWire? o We expect a motorcycle like Project LiveWire to appeal to a younger, mostly urban customer. Project LiveWire’s nimble handling, narrow chassis, exhilarating acceleration and responsive braking make it a great motorcycle for city riding. Is this an attempt to address your aging customer demographic? o We’ve had great success expanding our reach to young adults through our current product and we’ll continue that focus. In 2013, for the sixth straight year, Harley-Davidson was the number one seller of new on-road motorcycles in the U.S. to young adults 18-34, women, African-Americans and Hispanics as well as Caucasian men 35-plus. Motorcycles like Project LiveWire and the new Street 500 and 750 represent opportunities to increase our reach with products that meet the lifestyle and riding needs of the growing generation of urban young adults. 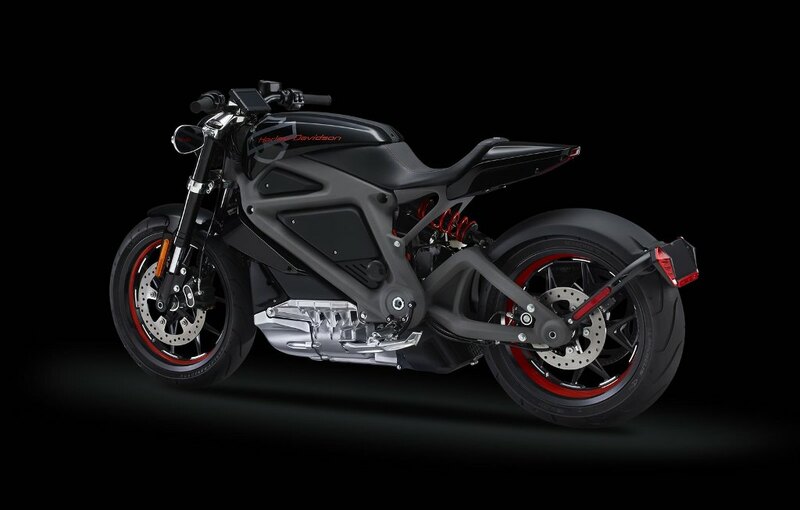 How do you expect Harley-Davidson’s core customer base to react to an electric motorcycle? o Our core riders know the brand better than anyone else and they trust us to design and build the best motorcycles in the world. They will recognize and appreciate nods to Harley’s design history in the LiveWire. o And, we invite all riders to help us define what the future will look like. Through our U.S. tour, we invite customers to ride the bike and give us feedback. Even those who don’t yet ride can ride the bike on Jumpstart – a simulated riding experience. Is this a sign that the market for your traditional motorcycle products is shrinking? o Absolutely not. Sales of our motorcycles grew in 2013 and again in Q1 2014. Project LiveWire is a great example of what our people can do. Our innovative people and our powerful product development process have already delivered great customer-led products like Project Rushmore and the Street 500 and 750 and continue to pursue opportunities to deliver compelling new products. What is the potential size of the market for a Harley-Davidson electric motorcycle? Do you have any potential-volume projections? o The Project LiveWire motorcycles are not for sale so we do not have volume projections. We’ll see where the customer insights lead us. What is the Project LiveWire Experience? The Approach for the Project LiveWire Experience is customer-led, and grass roots, truly springing from our rebel roots. This summer, through our U.S. tour, we invite customers to ride the bike and give us feedback on what they expect from an electric motorcycle that is truly authentic Harley-Davidson. Even those who don’t yet ride, can ride the bike on Jumpstart – a simulated riding experience. We are taking the Project Livewire Experience around the country this year, and will continue in the US, Canada and Europe in 2015, to gain customer insights recognizing that EV technology is rapidly evolving and we want to understand what technology matters most to our riders. Project Livewire isn’t available for sale now. We will ride Route 66 to bring the Project LiveWire Experience to the heart of the nation as well, starting in Chicago and ending in Santa Monica. What is the ride that H-D executives are doing on Route 66? o Since the company’s earliest days, Harley-Davidson has believed there is no better way to showcase our products and connect with our customers and dealers than to be out on the road with them. In that spirit, a group of Harley-Davidson executives will ride some of our most innovative new products – Project Rushmore, Project Livewire and Street – along Route 66 this summer, stopping at several dealerships and talking with customers along the way. o Route 66 is at the heart of the great American Road trip experience, which the Harley-Davidson Museum will celebrate in a special exhibit this summer. The exhibit, featuring artifacts and stories from the golden era of motorized travel, opens June 15 and runs through September 1. Where will the tour be stopping? o The Project LiveWire Experience will stop at approximately 30 destinations around the United States in 2014, beginning on June 24 at Harley-Davidson of New York City and on June 26 at the Harley-Davidson Museum in Milwaukee. Visit h-d.com/projectlivewire for a listing of tour locations. How were those locations chosen? o We wanted to share Project Livewire with as many people as possible so we are focusing on major urban markets with large populations. How can riders sign up for a test ride? o Visitors will be able to sign up for test rides by contacting the hosting dealership, or if capacity allows, in person on-site at each tour stop. The number of test rides on any given day is limited only by the number of motorcycles available and the length of the ride and the weather. How many test rides will be available at each event? o Depending on the location, we expect to conduct up to about 100 test rides per day [per truck fleet]. The number of test rides on any given day is limited only by the number of motorcycles available and the length of the ride and the weather. How long are the test rides? o Depending on the location, test rides will range from five to 10 miles. Will test rides be offered in all weather conditions? o We will follow our standard demo ride protocols in that we do not hold rides during inclement weather or when roads are wet following a rain shower. Why are the test rides limited to temperatures below 90 degrees F? o To enable the most rides possible in a day, we will need to rapidly recharge the Project LiveWire motorcycles several times per day. High ambient temperatures combined with the heat generated by the recharging process may limit the use across a full day. This is an example of technology maturity that needs to take place in the motorcycle EV industry in order to meet the “no excuses” expectations of Harley-Davidson riders. Will test rides be offered at dealerships? o Yes. Visit h-d.com/projectlivewire for a listing of tour locations. Will the Project LiveWire Experience continue outside the United States? o For 2014, the Project LiveWire Experience will take place in the United States only, but we expect to expand the tour to Canada, Europe as well as the U.S. in 2015. Can the customer insights you’re gathering really impact future products? o Customer insights inform all Harley-Davidson product development projects. As part of our customer-led product development process, our intent is to learn more about the electric vehicle market and gather insights from people on what they are looking for from Harley-Davidson regarding this type of product. We also recognize that EV technology is rapidly evolving and we want to make sure we apply the technology that matters most to riders. What type of motor does LiveWire have? o Project LiveWire is powered by a longitudinally mounted three-phase AC induction electric motor. What are the performance specs of the engine? o Project LiveWire’s three-phase AC induction electric motor produces 74hp (55kW) at 8,000 rpm and peak torque of 52 lb-ft of torque (70 Nm).The motor produces peak torque at just off idle rpm and a strong torque response at any rpm. The vehicle also accelerates from 0 to 60 mph in less than four seconds. What was the inspiration behind Project LiveWire’s styling? o Harley-Davidson motorcycles are often described as rolling sculpture, and Project Livewire is a great example of how we combine technology into art. Racing was a key inspiration for its design, making an aggressive statement on the adrenaline-packed thrill of pure power. Just as the V-Twin engine is at the heart of our internal combustion bikes, Project LiveWire’s longitudinal powertrain is its visual centerpiece. Inspired by the superchargers used on Top Fuel dragsters, it makes a muscular and powerful statement. Its overall proportions, including the compact, aggressive rake angle and short tail section, evoke the classic Harley-Davidson racing profile. The chassis design enables the rider to hug the bike and become one with the machine. Lighting and instrumentation lend to its futuristic look, and as a premium Harley-Davidson product it incorporates high-quality metal finishes and coatings. o The Project LiveWire motorcycles are gear limited to 92 mph. How far can Project LiveWire motorcycles travel between recharges? o An electric motorcycle’s operating range depends on many factors including speed, weather, and riding style. The Project LiveWire motorcycles were built foremost to provide an exciting test ride experience. For that test ride experience, the standard we’re applying suggests a range of 53 miles (85km). As part of our evaluation of the market and technology, we are assessing the optimal range for the intended use of an electric motorcycle and continuing to explore the potential to expand the range beyond what is offered by other competitive products. How long does it take to fully charge Project LiveWire motorcycles? o Time to full recharge is approximately 3.5 hours with our Level 2 chargers. Are there different safety concerns with electric motorcycles than gasoline-powered machines? 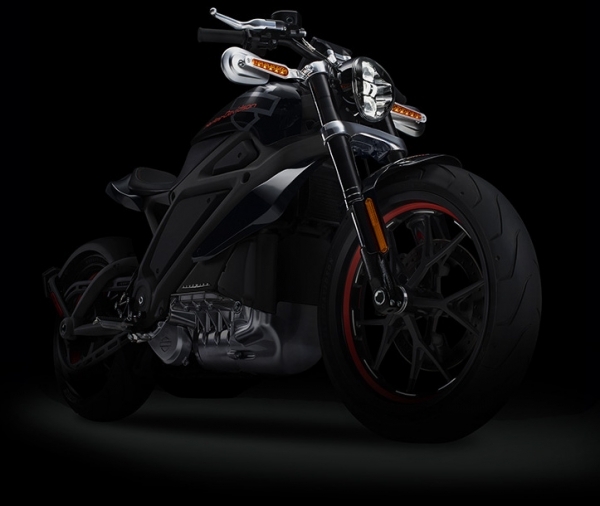 o Project LiveWire was designed, tested and assembled to the same rigorous standards that Harley-Davidson applies to all of its products, and incorporates many additional safety related features and functions commonly used in the automotive electric vehicle industry. However, just like any electric motorcycle, it is a high-voltage vehicle and only specially trained technicians should attempt to service it. Are there different licensing requirements for Project LiveWire? o No. Anyone with a valid motorcycle license can take a test ride. What type of batteries does Livewire use? Do you use the same batteries as Boeing or Tesla? o We are not a point where we would disclose our supply partners. Our battery cells are not those used in either Boeing or Tesla. How is Project LiveWire’s battery performance affected by weather extremes? o Project Livewire operates like an internal combustion engine motorcycle in most weather conditions; however, performance of all types of batteries can be affected by extreme temperatures – including high and low ambient temperatures. How does Project LiveWire handle compared to a gasoline-powered motorcycle? o Dynamically, Project LiveWire handles similarly to an internal combustion engine motorcycle, but riders will feel the responsiveness of its instantaneous torque output, clutchless single-speed transmission, and responsive braking. Does Project LiveWire sound like a Harley-Davidson? o Project LiveWire’s sound is a distinct part of the thrill – think fighter jet on an aircraft carrier. Driven by the design approach, the sound distinguishes it as a uniquely Harley-Davidson motorcycle. o Project Livewire’s unique sound was designed to differentiate it from internal combustion and other electric motorcycles on the market. Will Harley-Davidson dealers have charging stations in the future? o The Project LiveWire motorcycles are not for sale and decisions about their commercial availability have not been made. What other types of technology does Project LiveWire feature? o In addition to its lithium-ion battery technology, Project LiveWire features the latest LED lighting technology and a full-color touchscreen instrument display. Where was Project LiveWire developed? o Project LiveWire was developed by our Harley-Davidson engineers and designers at the company’s Willie G. Davidson Product Development Center in Wisconsin. Who did Harley-Davidson partner with to develop the motor? o Harley-Davidson engages the resources of various outside suppliers as a standard part of its product development process. Given where we are with this project, it would be premature to disclose details of those partnerships. What is Harley-Davidson’s relationship with Mission Motors? o Harley-Davidson engages the resources of various outside suppliers as a standard part of its product development process. Given where we are with this project, it would be premature to name those partners or their roles at this time. Does Harley-Davidson have people with electric vehicle capabilities in house? o Yes, we do have expertise internally, but given the evolutionary nature of this technology, we recognize the benefit of working with others outside of Harley-Davidson. Which parts of this bike were specifically designed or developed by Harley-Davidson? Is Harley-Davidson using or expecting government subsidies to fund the production of this bike? Where were the Project LiveWire motorcycles built? o The Project LiveWire motorcycles were hand built at the Harley-Davidson Product Development Center in Wisconsin. Where would Project LiveWire motorcycles be produced, if the company brought them to market? o Any decisions regarding manufacturing would be made later and in keeping with our philosophy to most effectively deliver the right motorcycle to the right customer at the right time. What is Harley-Davidson’s philosophy regarding U.S. content and global sourcing? o All sourcing decisions are based on quality, component availability, supplier reliability and cost. o [If pressed, or need to elaborate]: For some components, a U.S. supply base either does not exist (e.g. suspension components) or doesn’t exist at a level that can support our volumes. For other components, such as those for which we would logically draw on automotive suppliers, our volumes may be too small, compared to the auto industry, to provide them much incentive to work with us. Is Harley-Davidson taking this step to reduce emissions? 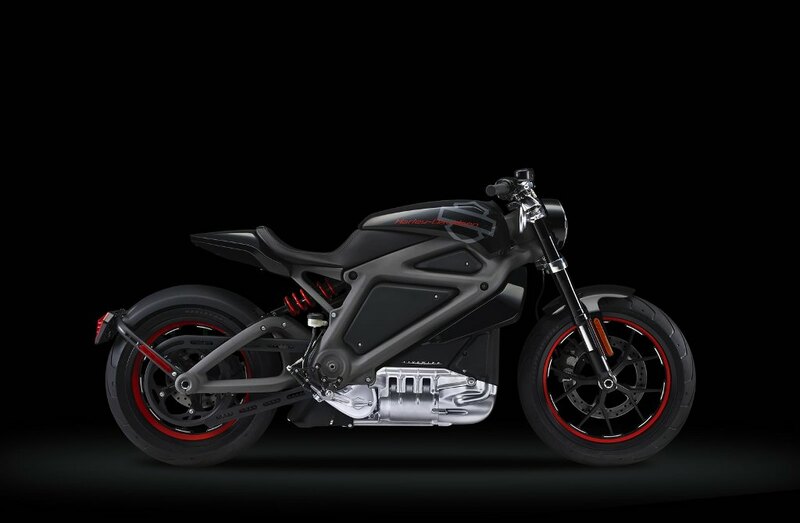 o Harley-Davidson meets or exceeds all emissions and other regulatory standards in every market we serve, but this is not a specific goal of Project LiveWire. Is Harley-Davidson “going green”? Are you green washing? o One of the best elements of motorcycling is being in the great outdoors, so preserving the riding environment is important. We think of sustainability as “preserving and renewing the freedom to ride” and we’re investing in numerous ways to fulfill this vision. o Project Livewire is one element in our efforts to help preserve and renew the freedom to ride in our long-term approach to sustainability. What is Harley-Davidson’s sustainability approach? o As a company that has succeeded for 111 years, we intend to succeed for another 111, which means we have to think in generational terms, not just quarterly or yearly. And this is why we have Sustainability as a core strategic focus at Harley-Davidson. o Project Livewire is one element in our efforts to help preserve and renew the freedom to ride – which is important to us and our customers – in our long-term approach to sustainability. Harley-Davidson’s current products are far from being sustainable. What steps are you taking to improve your sustainability reputation? o As a motorcycle manufacturer, we’re focused on what we can do to be an environmentally conscious manufacturer for the long haul. o Motorcycling is a great way to travel and experience the great outdoors , so preserving the riding environment is important. We think of sustainability as “preserving and renewing the freedom to ride” and we’re investing in numerous ways to fulfill this vision. We’ve made sustainability one of our four strategic pillars for the company, with dedicated leadership at the executive level and oversight from our Board of Directors. We’ve made strides in reducing overall greenhouse gas emissions, energy use and water consumption in our US manufacturing facilities since 2010. We have engaged our suppliers with the greatest environmental impact within our supply chain to create goals in 2014 for reducing those impacts. In 2013 we launched Renew the Ride™ – a partnership with The Nature Conservancy to create authentic platform for dealers, customers and others to do something great for the environment through tree plantings and other support activities aimed at enhancing our environmental and social impacts. In the 2014 Newsweek Green Rankings published in early June, Harley-Davidson’s operations rank #1 in the Automotive and Components sector and #12 overall in the U.S. The Newsweek report ranks the sustainability performance of the 500 largest publicly traded U.S. companies by market capitalization. Will there be Project LiveWire-specific accessories or apparel? o During the Project LiveWire Experience, we will be displaying prototypes of some innovative new riding gear technology including interactive heads-up display helmets and LED-lighting jackets. In addition, we will offer Project LiveWire-inspired Harley-Davidson MotorClothes for sale through select dealers during the tour. What types of customization products will be available for Project LiveWire? o Harley-Davidson is proud of its leadership in offering parts, accessories and customization options for its customers, but at this stage of development there are no accessories available for the Project LiveWire motorcycles. What’s the point of revealing Project LiveWire now? o Electric motorcycle technology is evolving rapidly. Revealing it now allows us to gain deeper insight into market expectations – through the eyes of riders – to better understand what they are looking for from Harley-Davidson regarding this type of product. We also recognize that EV technology is rapidly evolving and we want to ensure we can offer a “no excuses” riding experience to our customers by applying the technology that matters most to them. How do you plan on keeping customers engaged and excited? o We are taking the Project Livewire experience around the country this year, and will continue in the US, Canada and Europe in 2015, to gain customer feedback on what they are looking for from Harley-Davidson regarding this type of product. Project Livewire isn’t available for sale now. o In addition, we will invite influencers and non-riders to follow online and in social media to engage in the conversation. Where do I tell my staff and customers to go and get more info on Project LiveWire? o More information about Project LiveWire will be available on h-dnet. In addition, the Project Livewire Experience will be at Annual Dealer meeting. How do you plan on keeping Dealers up to speed on the development of Project LiveWire? o Although we are not offering the Project LiveWire motorcycles for sale, our dealers represent one of the most powerful ways for customers to engage with each other and with our products and brand. As is our normal practice, we aim to keep dealers fully involved in our opportunities with Livewire. How were the dealer locations for the Project LiveWire Experience chosen? o Locations were chosen based on market size and demographics and ability to host an event activation of the size and scale of Project LiveWire.